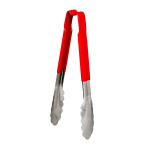 The Vollrath 4780940 utility tongs are constructed of stainless steel for strength. Its red plastic handle is comfortable to grip and can be used in color-coded applications for specific product. The ends have scalloped edges to pick up product easily. 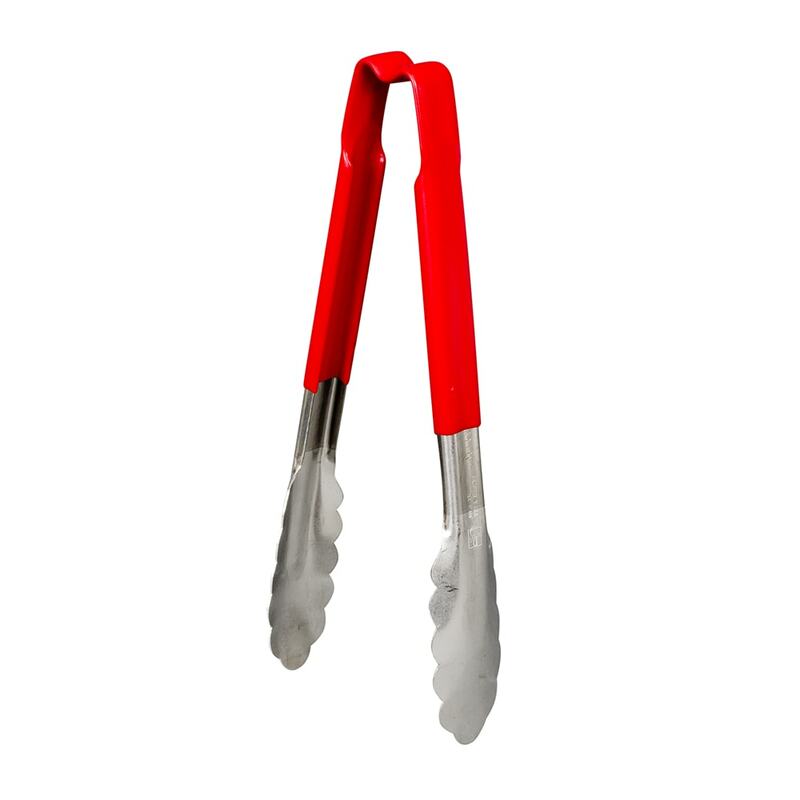 The tongs withstand temperatures as hot as 180 degrees Fahrenheit.